A more gentle exfoliation - Sugar Scrub contains pure sugars to naturally exfoliate dead skin cells and renew complexion. Ideal for sensitive and delicate skin types, Sugar Scrub leaves skin with a healthy glow. The scrub effectively prepares skin to absorb vital nutrients from masques and serums. The warm, sweet, and mild aroma of Vanilla Lemongrass will lift your spirits! Amber Sugar Scrub - Geranium Sage / 128 oz. Amber Sugar Scrub - Geranium Sage / 18 oz. Amber Sugar Scrub - Green Tea Mint / 128 oz. Amber Sugar Scrub - Green Tea Mint / 18 oz. Amber Sugar Scrub - Lavender Aphrodisia / 128 oz. Amber Sugar Scrub - Lavender Aphrodisia / 18 oz. Amber Sugar Scrub - Tangerine Basil / 128 oz. 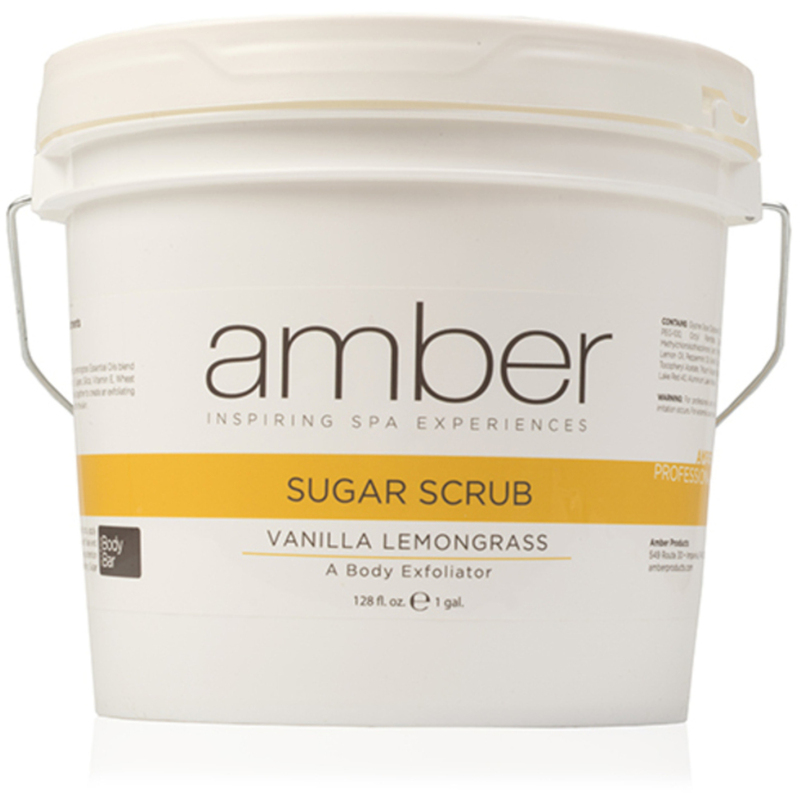 Amber Sugar Scrub - Vanilla Lemongrass / 128 oz. 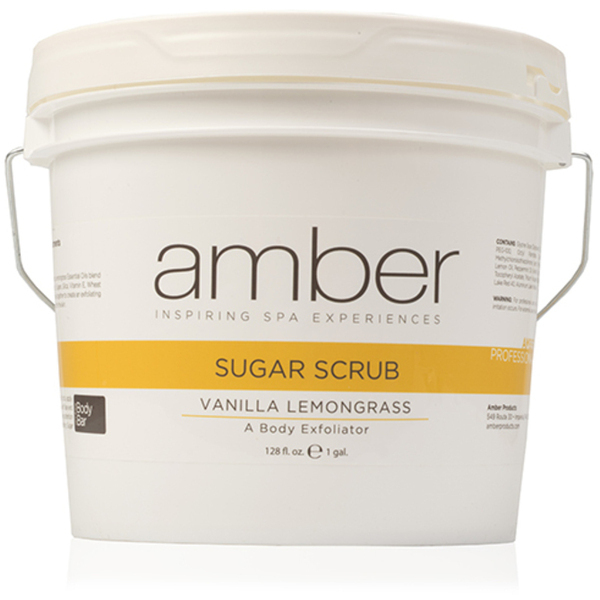 Amber Sugar Scrub - Vanilla Lemongrass / 18 oz.